Another day, another NCAA basketball game for me. 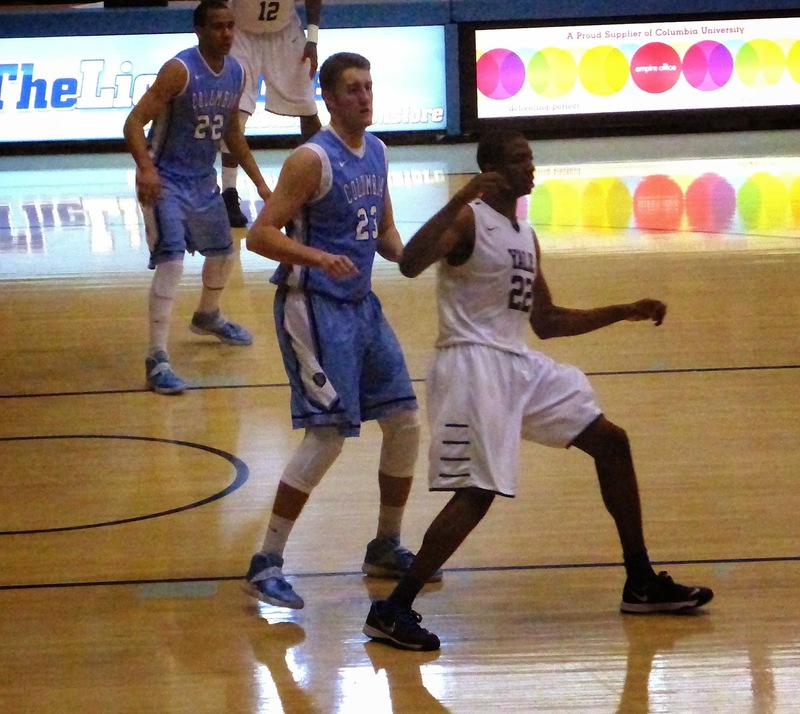 This time it was a meaningful encounter in the Ivy League between Yale and Columbia. The reason I say meaningful is that the Ivy League is the only conference in Division 1 to not hold a tournament to decide their March Madness representative. Instead, the regular season winner gets the spoils of national attention. I find it surprising that none of the other 31 conferences follow suit, as you would expect them to want their best team representing them on the national stage. In many cases, the #1 seed loses during the tournament, which is often held at a neutral venue giving no home court advantage. I guess that the extra revenue and coverage during championship weekend makes up for occasionally having less qualified teams in the tournament. Anyway, Yale came in at 8-1, a half-game behind leaders Harvard who had beaten Princeton the previous evening and they needed a win to keep pace, so this one was meaningful! I decided to buy my ticket online as there are no service charges and $10 is a bargain for a Saturday afternoon game. 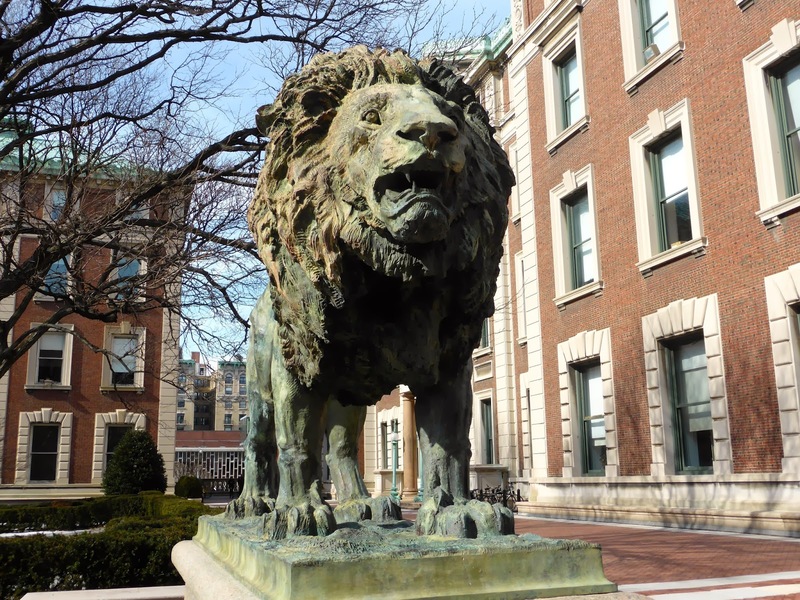 When I arrived on the Columbia campus on the Upper West Side, I stopped by to take a picture of the venerable lion in front of the Athletic Complex. The gymnasium is not accessible through the front entrance, but instead you must walk to the left of the Physics Building and down a staircase to where the box office sits. 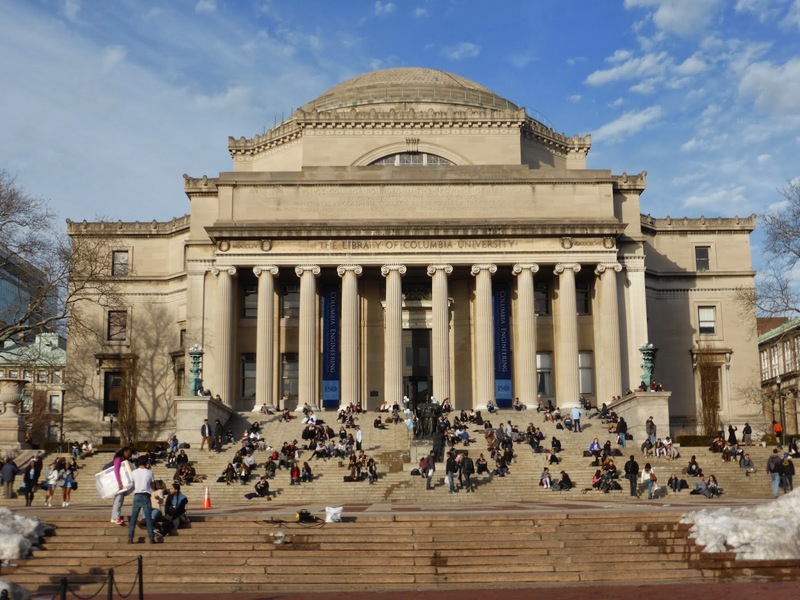 You are essentially on the corner of 120th Street and Broadway here, but it is much more interesting to walk through campus, so you can take pictures like the one of the library above. I picked up my will-call ticket, thus avoiding a surprisingly large line at the sales window and entered the gym. There are 24 rows on each side, with some sections reserved for students and others with chair backs that were not available online. Be aware that things get quite cozy here when a full house as the seats are quite small on the benches. 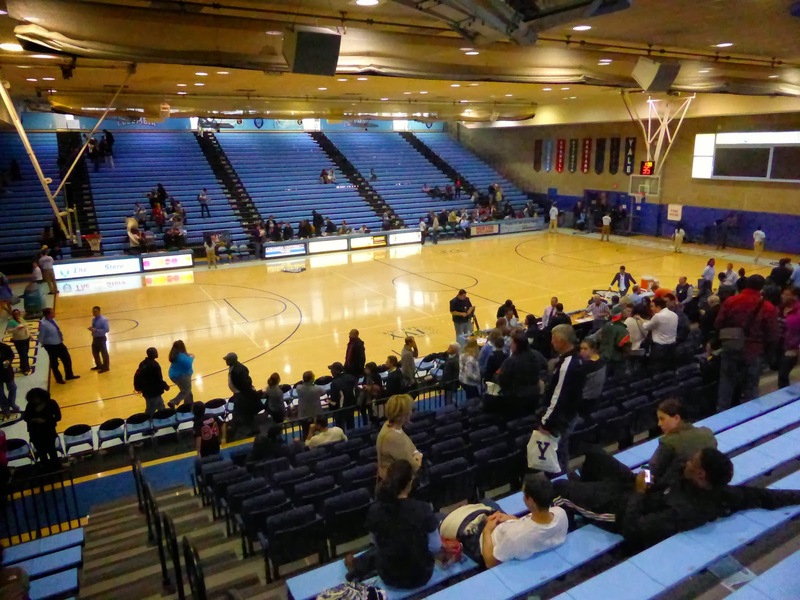 The photo above was taken after the game to give you an idea of the gym's layout, while below is during the action when nearly every seat was filled. Make sure to arrive on time here as they close the gym doors during play and you are not allowed in until there is a stop in the action. I did not see any food for sale, but didn't look very hard either. 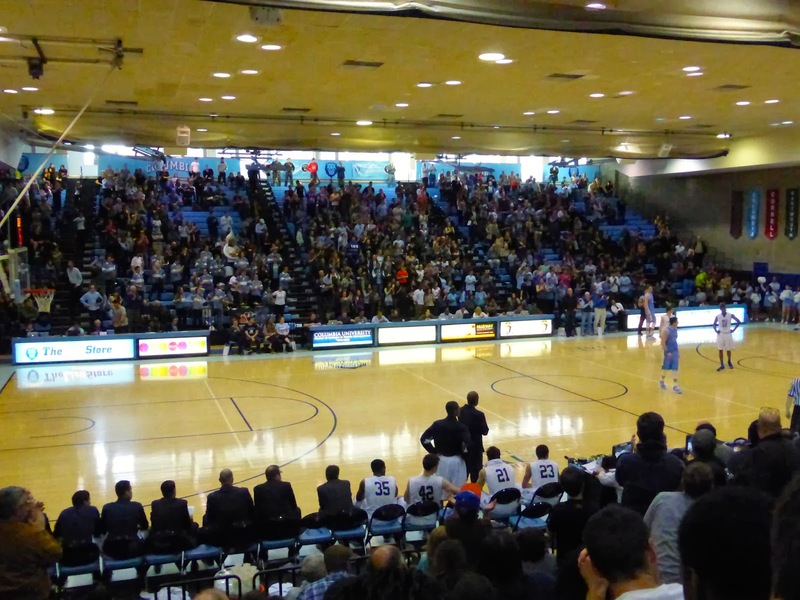 This is really just a college gymnasium where Division I basketball is sometimes played. I would recommend a visit for any hoops fan visiting New York City; just arrive with limited expectations and you will be fine. 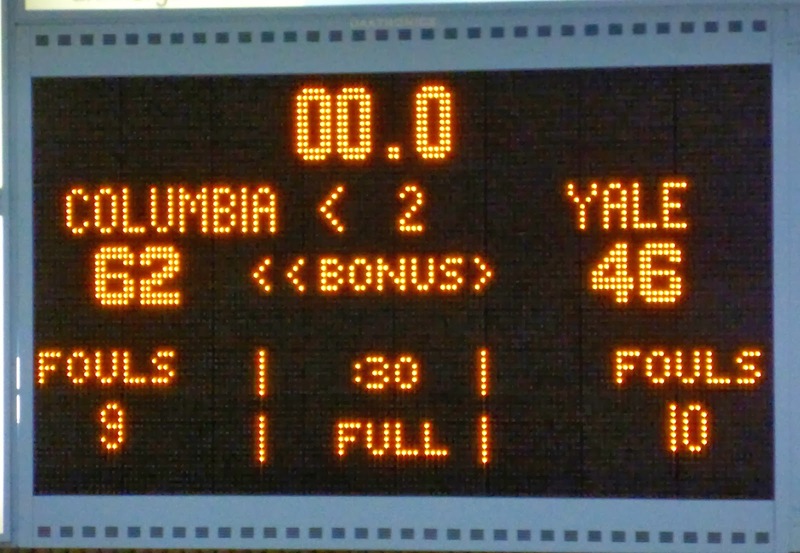 So Yale needed the win but Columbia was at 5-4 in the league and 16-10 overall and by no means a pushover. The first thing I noticed was that the Lions wear a bright Columbia blue uniform to match their benches, so Yale was dressed in white. The second thing I noticed was that I was surrounded by Yale fans, who were quite vociferous in support. Sadly for them, their team was nervous right from the start, looking out of sorts particularly on offense, turning the ball over 8 times in the first frame. With the score tied at 10, Steve Frankowski (#5 below) led the Lions on a 11-2 run, sinking 9 of his 17 points in just over three minutes off the bench. That lead held up until halftime as Yale was terrible from the line as well, going just 4/10, heading to the locker room down 30-23. The second half was more of the same. 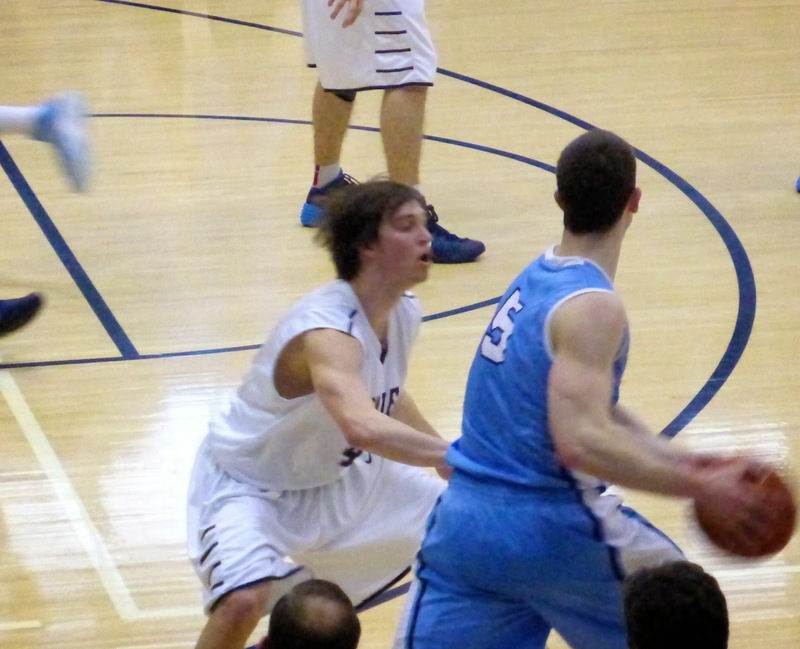 Two early miscues and three missed charity shots from the Bulldogs allowed Columbia to build a 13-point lead, which was never seriously challenged the rest of the way as the home team won in a rout. You will notice that the second half score was 32-23, almost the same as in the first. The Yale fans around me were disgusted, seeing their chance at an NCAA appearance begin to fade away. Harvard leads the league by a game now, but Yale hosts them on March 7th, so all is not lost yet. Should Yale win that and both teams win their other three remaining games, there would be a one-game neutral-site playoff game for the right to attend March Madness. This is one of many races worth following for the next two weeks as college basketball gets very exciting. Having lived in Canada and Asia, I've never experienced the tournament in my backyard, and I can finally understand the thrill. Although the eventual champion will almost definitely come from a small group of power teams, just having a team you follow participate is something worth celebrating. Normally when they show head shots of the players in other schools and the pros, the players are wearing a team jersey. Not so at Columbia, where all head shots are suit and tie. This is a classy school. 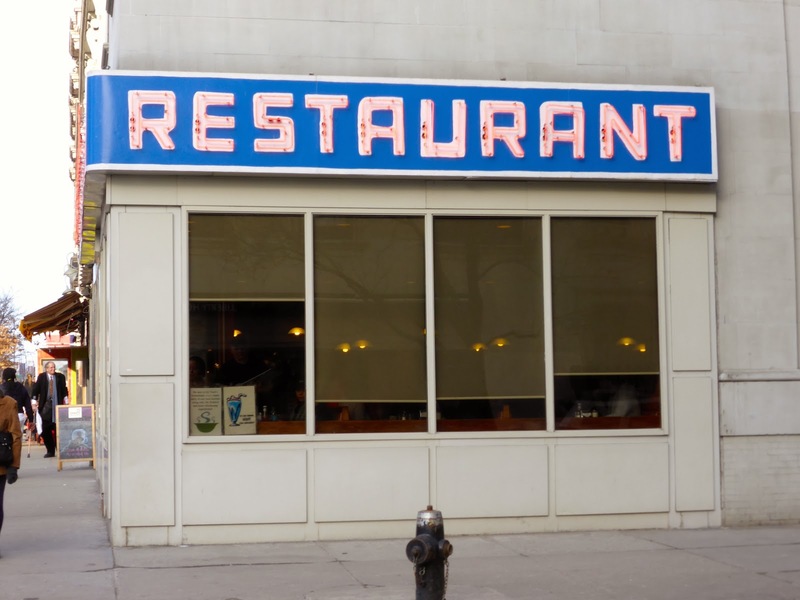 A few blocks north of Columbia is Tom's Diner, which you might recognize from a TV show. I did not eat here though. Who Really Won the Winter Olympics?